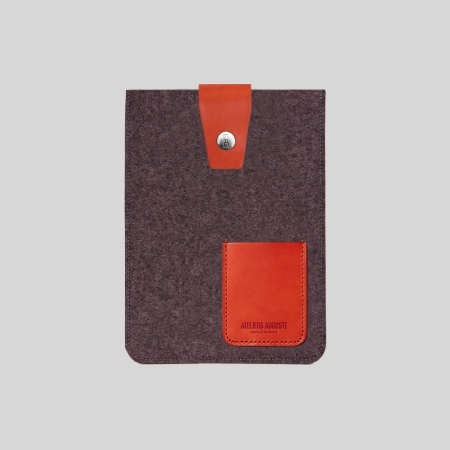 Pocket iPad case100% Wool Felt & full grain leather. 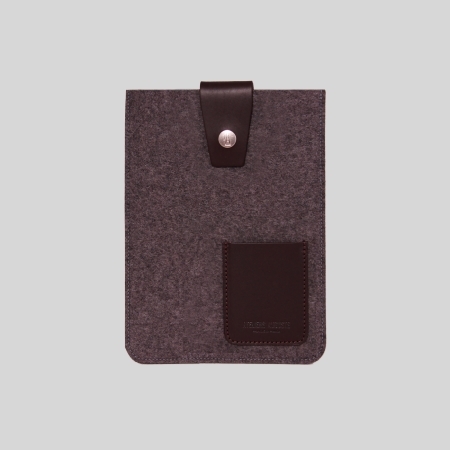 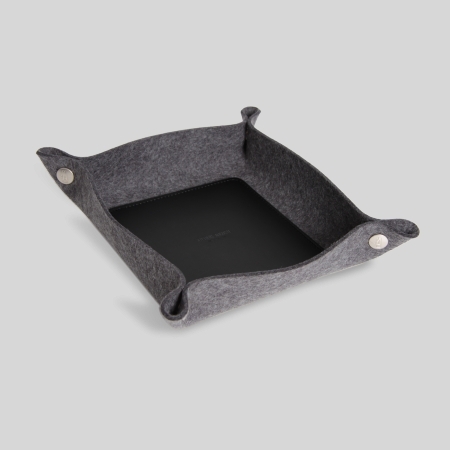 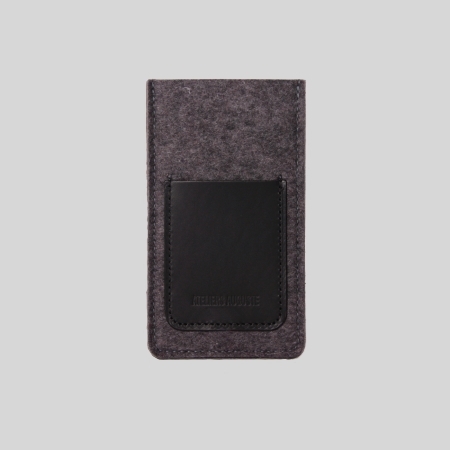 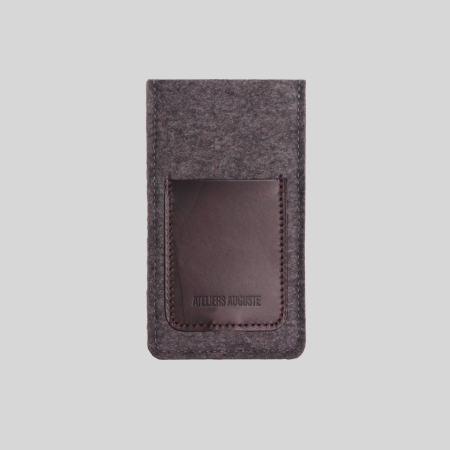 Color: dark graySize: 8.070'' x10.039"
Pocket iPad mini case100% Wool Felt & full grain leather. 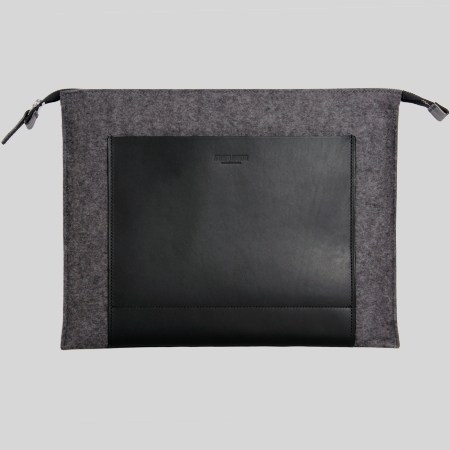 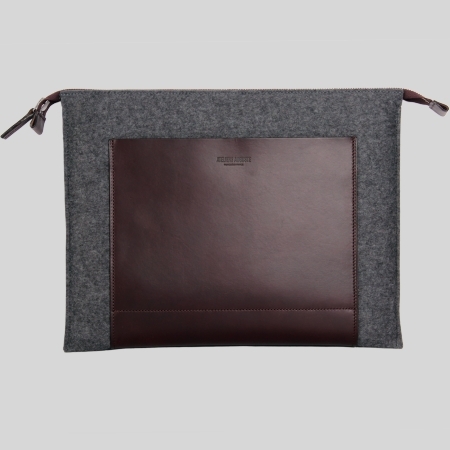 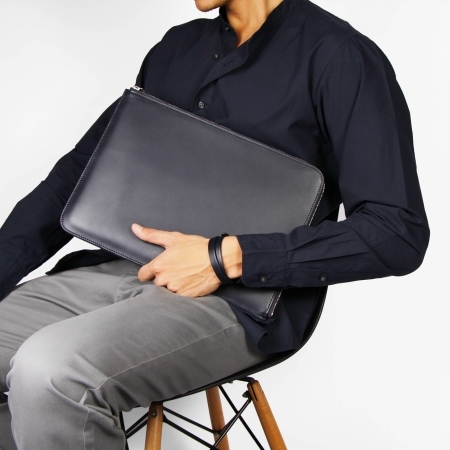 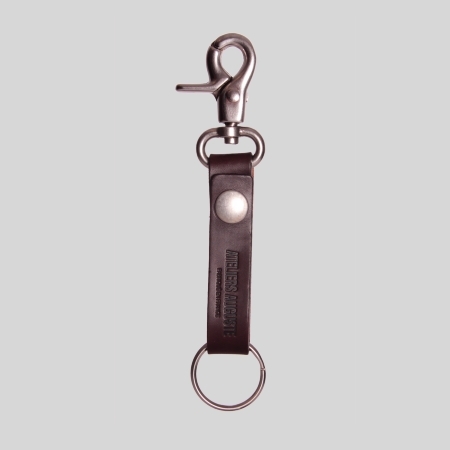 Color: dark graySize: 6.102'' x8.425"
Pouch / fit for a 13-inch Laptop100% Wool Felt & full grain leather (Veg-tanned). 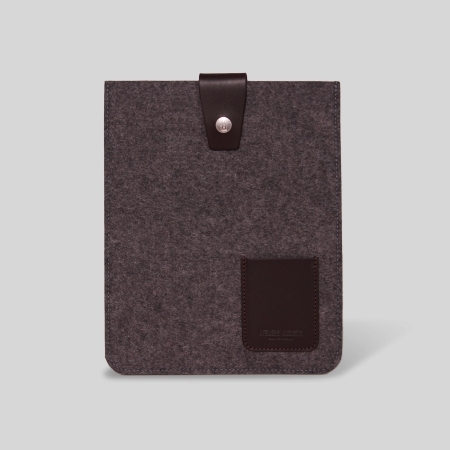 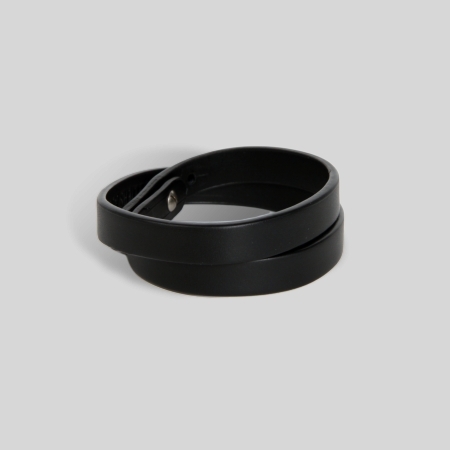 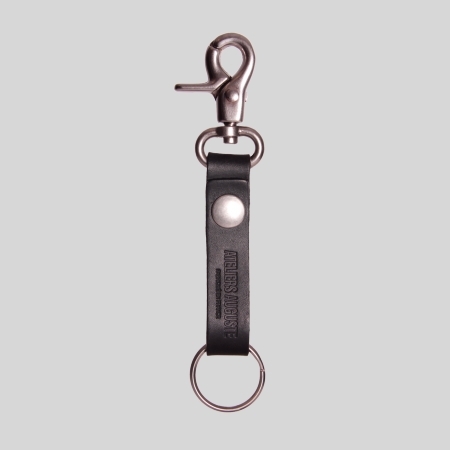 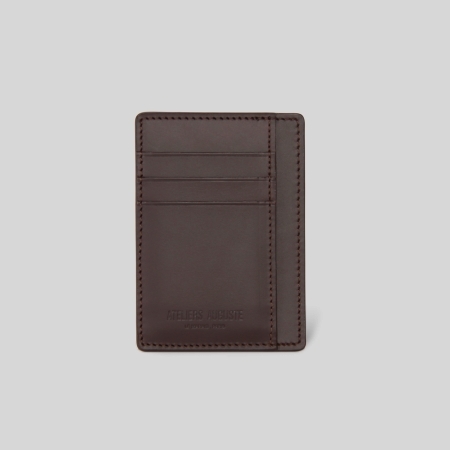 Color: dark gray Size: 13,8'' x10,6"
Three card slots. 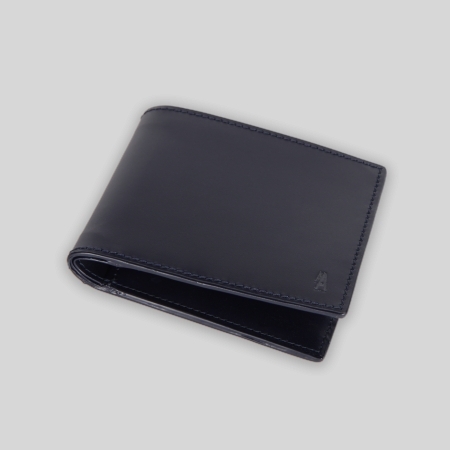 Natural organic leather.1 slot on the back for small tickets. 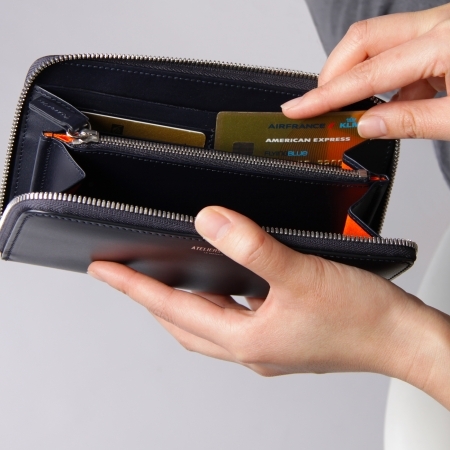 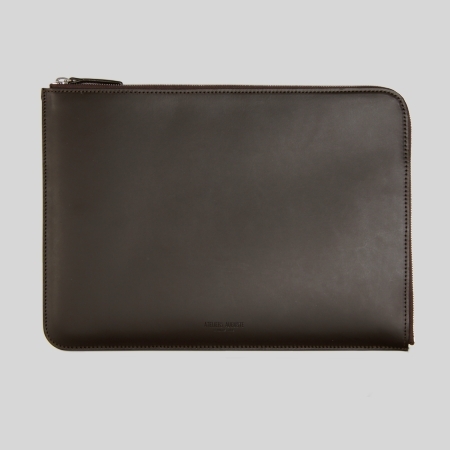 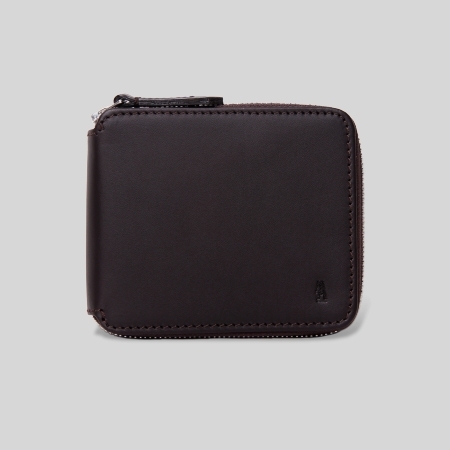 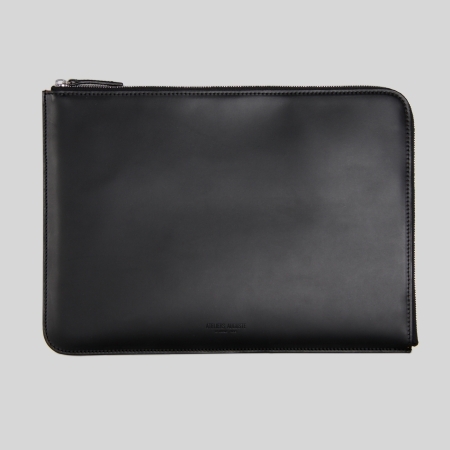 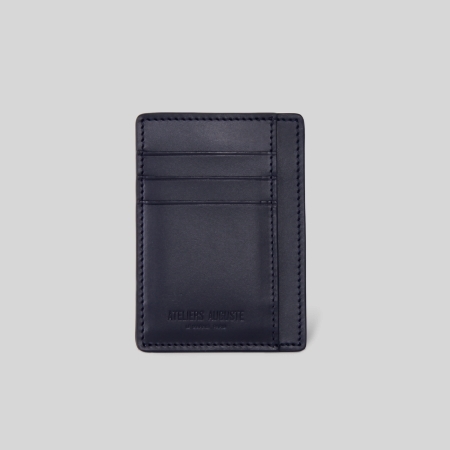 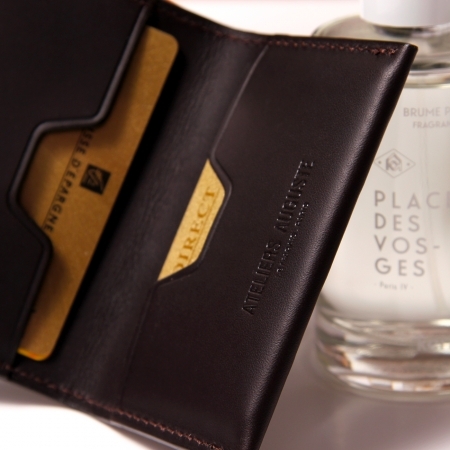 Size: 4.015'' x 2.795"
Zip wallet - three card slot. 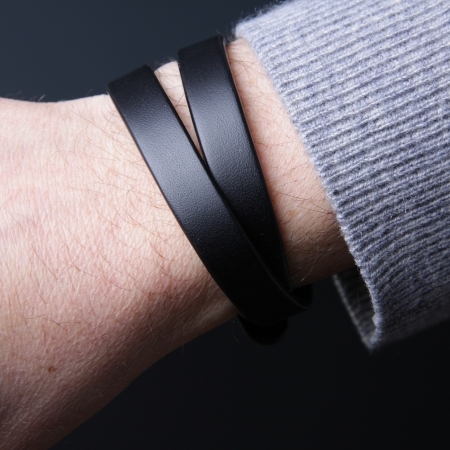 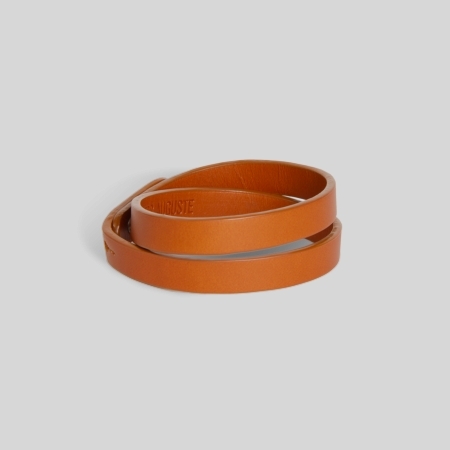 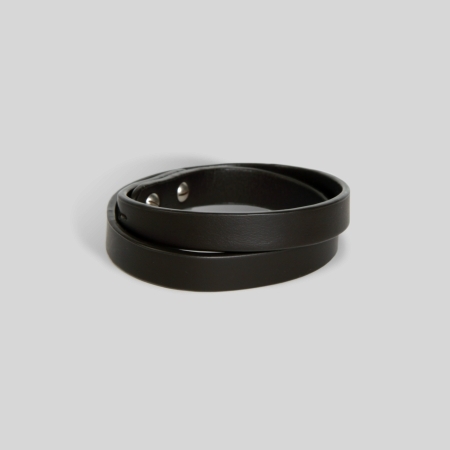 Natural organic leather. 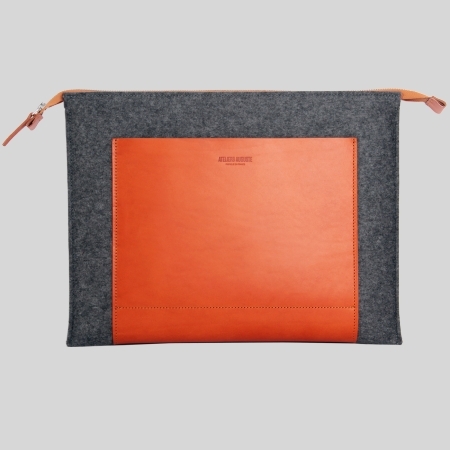 Orange cotton inside. 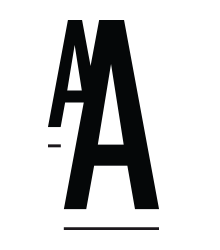 Size: 4.9'' x 3.7"
Snaps open and closed to attach to your belt or bag strap Size: 5.90'' x 1.57"
Wool Felt Tray. Perfect for all your loose items. 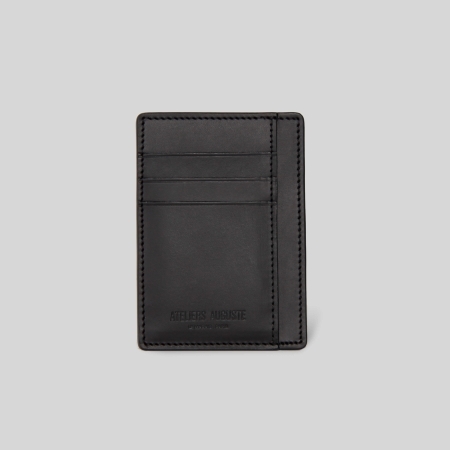 dimensions: 7" X 2" deep. 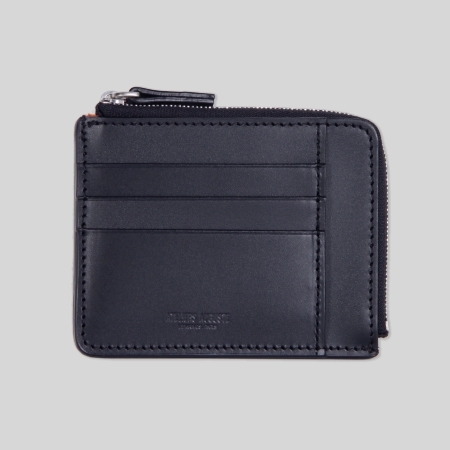 3 slots for your credit cards.1 large slot for your money. 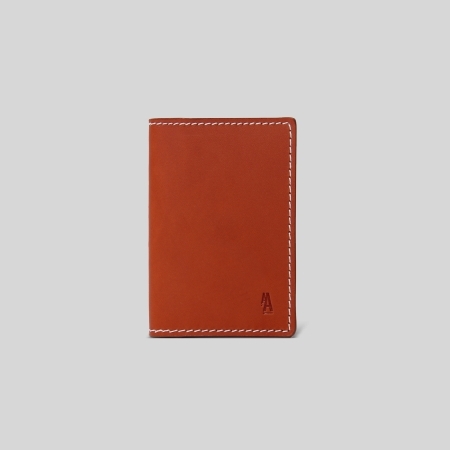 Full grain leather, vegetable tanning. 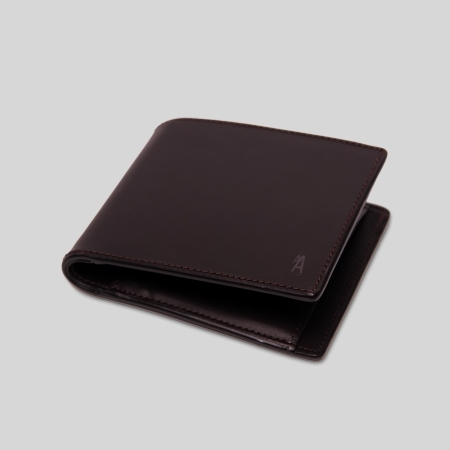 Size : 4.7" X 3.15"
3 slots for your credit cards.Full grain leather, vegetable tanning. 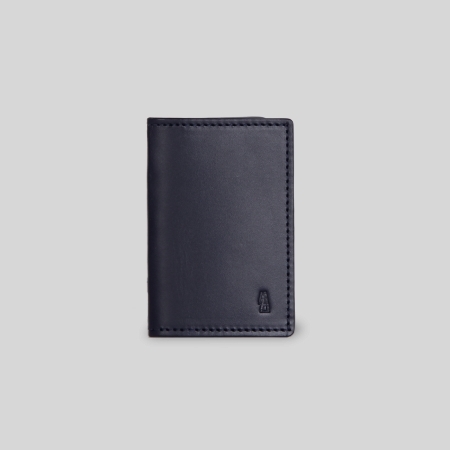 Size : 5.5" X 3.9"